Alopecia, or alopecia areata, is a condition of the scalp that leads to damaged hair follicles, and subsequently, hair loss. Typically, hair will fall out in circular formation in different areas of the scalp, leading to round bald patches. Other than bald patches, and the emotional aspect of having the condition, there are no other side effects, and alopecia is not contagious. Some types of baldness can be caused by alopecia areata, an autoimmune disorder. The extreme forms of alopecia areata are alopecia totalis, which involves the loss of all head hair, and alopecia universalis, which involves the loss of all hair from the head and the body. The exact cause of alopecia is still unknown. The condition occurs when the immune system begins to attack the hair follicles. Normally, the immune system attacks foreign bodies such as bacteria or viruses in an effort to expel them from the body. In the case of alopecia, for some reason, the immune system mistakes the hair follicles as foreign, and goes about ‘destroying’ them just like they would bacteria. Unfortunately scientists have yet to deduce exactly why the immune system mistakes the hair follicles as foreign entities of the body. There doesn’t seem to be any pattern or timeline to when symptoms of alopecia occur. 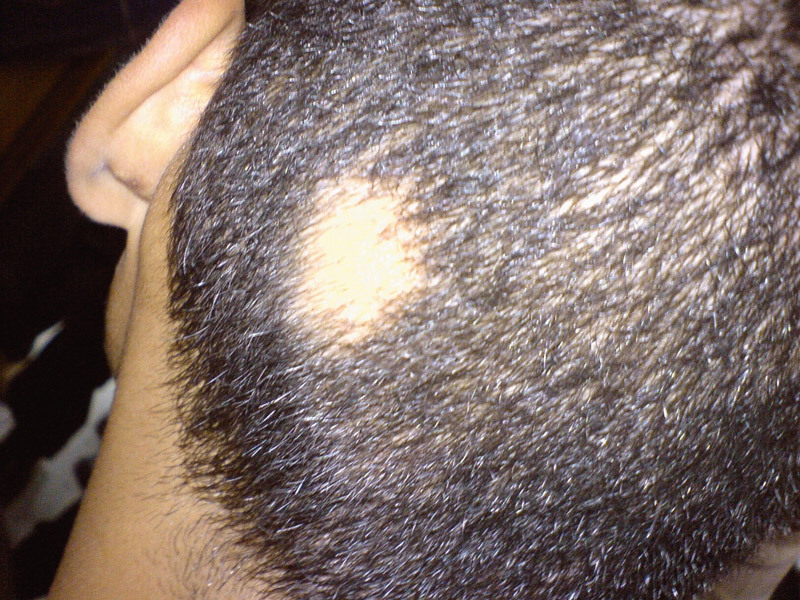 In other words, a patient may experience a bout of alopecia in one area of the scalp, which will then regrow. Subsequently, another patch of hair may fall out in another area of the scalp. Conversely, the patient may not experience any further bout of hair loss at all. 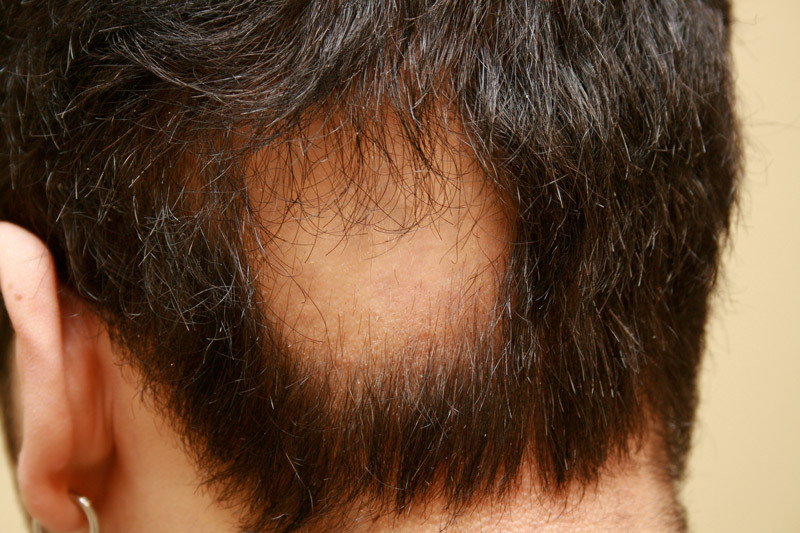 While anyone can develop the condition of alopecia, it seems to mainly occur in people twenty years of age or younger. The condition can affect men and women alike. If you suffer from a pre-existing auto-immune disorder, or problems with your thyroid, your risk of developing alopecia increases.